In today’s complex. 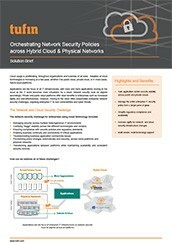 heterogeneous IT environment, it is essential to have a central security policy view across all platforms, physical, virtual and cloud. Additionally, the view should be centralized to support all the different firewall, virtual machine and cloud vendors in the market. 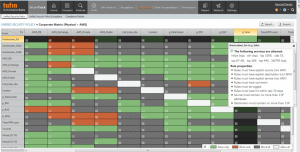 Now you can gain end-to-end visibility and control for analyzing security and connectivity across physical networks and hybrid cloud platforms from a single console. Tufin’s Interactive Topology Map provides the highly accurate realtime, enterprise-wide view necessary for managing today’s complex environments. Tufin’s Interactive Topology Map provides the highly accurate realtime, enterprise-wide view necessary for managing today’s complex environments. 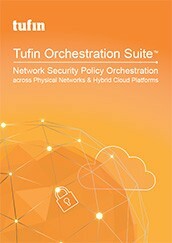 Tufin Orchestration Suite enables you to maximize agility with end-to-end automation of network security changes plus, security and compliance is already baked into Tufin’s automation process. 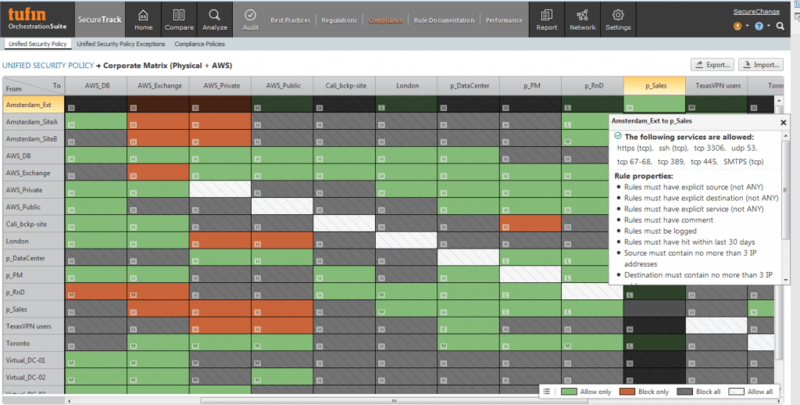 You can also discover and manage the connectivity needs for every application regardless of where it resides in the enterprise network. 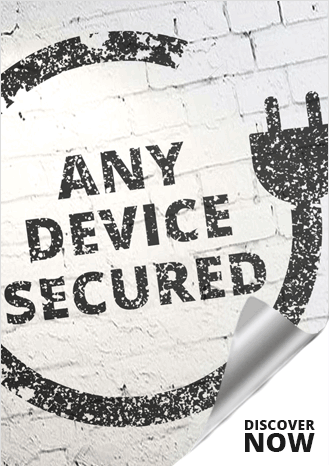 This increases agility and ensures business continuity, while improving communication between App and Network Security teams. 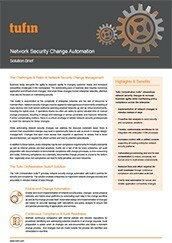 Get a demonstration of Network Security Policy Orchestration and Automation and discover how to cost-effectively automate and accelerate network-security configuration changes while maintaining security and compliance. 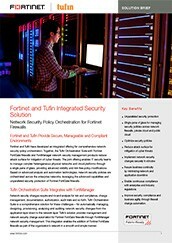 VIDEO: What is Security Policy Orchestration?